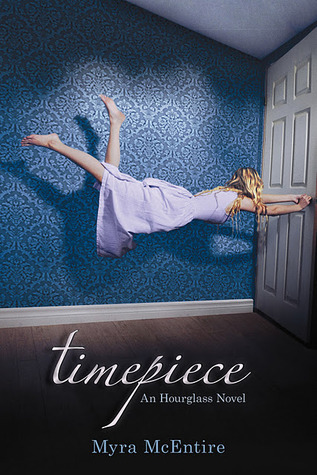 TIMEPIECE was different from HOURGLASS because it's told from Kaleb's point of view. I was so excited about this, because while I think Michael is perfect for Emerson, I am personally more of a Kaleb fan, so it was awesome getting into his mind. His love interest in this book is Em's best friend, Lily, and they have SUCH AN AMAZING love story! Their romance stood out to me because it grows over time -- there was no "love at first sight" for them. They hated each other at first, but as they learned more about each other, they fell in love, and it was so sweet to read about. There was one quote about three fourths of the way through when Kaleb is telling Lily about how much she matters to him, and it was so adorably sweet. They are perfect together! It had been a while since I had read HOURGLASS, so I have to admit that I was confused at the beginning of TIMEPIECE. There wasn't any recapping of what happened, so I did feel a little lost in the beginning of the book. When I stopped feeling lost I was able to get more into the plot, and I loved it! This series is really fast-moving and fun, and it's awesome learning about the different abilities that people have in this world that Myra McEntire has created. If you're a time travel enthusiast, this is definitely a series I recommend! I can't wait to see what happens in the next installment.